As well as the earliest start date of the trial, the ICC hearing on Monday 1 October 2007 will discuss the volume of evidence and the number of witnesses to be called on by the prosecution. The languages to be used during proceedings and the disclosure of the evidence the prosecution seek to rely on will also be decided. Thomas Lubanga is the leader of the Union of Congolese Patriots (UPC), an armed militia in Ituri in northeastern DRC, and is implicated in numerous human rights human rights violations against civilians as well as the murder of UN peacekeepers. Mr. Lubanga is the first person put on trial by the ICC in the Hague, Netherlands, and is charged with war crimes including the enlisting and conscription of children under the age of 15, in order to use them actively in hostilities. 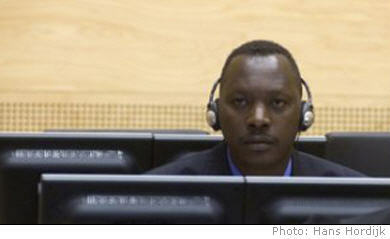 The warrant of arrest against Mr Lubanga was issued under seal on 10 February, 2006 and unsealed on 17 March, 2006, the same day as he was arrested in Kinshasa and transferred to the Court in The Hague.